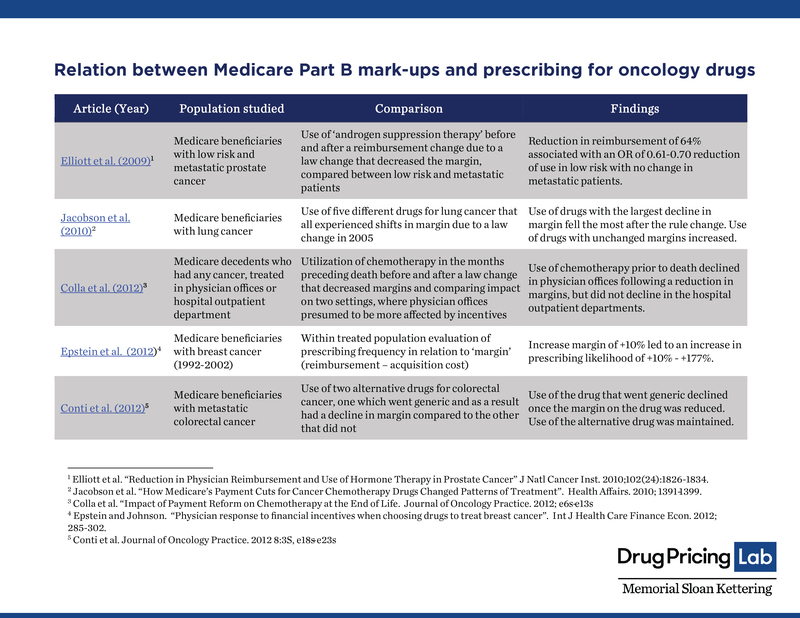 You are now reading "Why the Part B mark-up is..."
Policymakers are concerned that healthcare providers are influenced to prescribe more expensive drugs when they receive reimbursement based on the price plus a mark-up. The Drug Pricing Lab drew together published studies examining whether the 6% mark-up for administering drugs to Medicare Part B beneficiaries influences prescribing. We find that all studies suggest it does, in just the direction policymakers are concerned about.